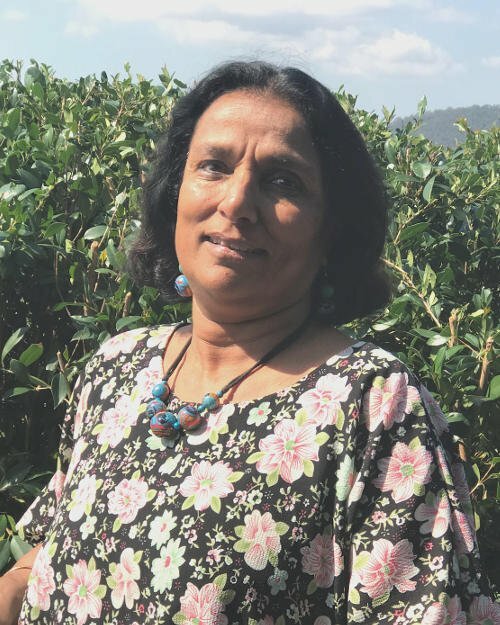 Dr Padma Narsey Lal is a Fijian ecological economist known for her pioneering work in interdisciplinary research in the Pacific, integrating ecology and environmental economics, helping Pacific Island nations with the challenges of sustainable development and environment management for over 40 years. Her ground breaking work in the Pacific has covered a wide range of sectors and thematic areas including cost-benefit analysis, market and non-market valuation in the areas of mangrove management, disaster risk management, climate change adaptation, water and sanitation, food security and agricultural development and road infrastructure development. Dr Lal is well known for her robust analytical approach to policy development, as well as for successfully translating policy initiatives into practical on the ground actions. Her earliest interdisciplinary work in Fiji led to the government setting a permanent moratorium on large scale mangrove reclamation, resulting in what we see today, the survival of major deltaic mangroves in Fiji. At the regional level, Dr Lal’s research and policy advice has been instrumental in helping Pacific Island nations manage a range of key development issues, including acceptance of the impacts of climate change, natural disaster management and energy security as development concerns. Dr Lal has taken these regional issues on to the national and international level emphasising broader development (and not just aid) effectiveness with her later work on mainstreaming climate change and disaster risk management, including climate change financing and strong national governance frameworks. Integration across disciplines and collaborative research to underpin policy and on-the ground actions continues to be a hallmark of her work as independent researcher and consultant in the Pacific. Dr Lal started her career as a public servant for the Fiji Government before moving to undertaking research and research management for many Pacific Island Forum countries, including Australia. Dr Lal has held senior positions at regional development organisations while encouraging collaboration across governmental and non-governmental agencies. She worked as Chief Technical Adviser at International Union for Conservation of Nature (IUCN) Oceanic Regional Office and Sustainable Development Adviser at Pacific Islands Forum Secretariat prior to that. Before returning to the Pacific, Padma held senior positions with the Australian Commonwealth Government, including with the Australian Centre for International Agricultural Research. Dr Lal is the author of many reports and peer reviewed articles and books, including serving as a Co-Coordinating Lead Author for the IPCC’s Special Report on Extreme Events. Her book on the Fiji sugar industry, Ganna (sugar cane in Hindi) provides a robust and objective analysis of the most problematic areas in the sugarcane and milling industries, including detailed analysis of the productivity (or rather the lack of it) in cane farms and sugar mills in Fiji. She holds a Masters in Science, Ecology and Biochemistry from University of the South Pacific, a Masters in Resource and Environmental Studies from Australian National University and a PhD in Agriculture and Resource Economics from University of Hawaii at Manoa. She is a Rotarian and a Paul Harris Fellow, and serves as a Henry Dunant member of the Red Cross. This portrait of Dr Padma Narsey Lal was first published by the Pacific Community for the 70 Inspiring Women campaign, it is reproduced here with their permission.